As we reach the end of Ramadhan, along with the excitement for Eid, there is a sadness that this beautiful month of blessings is leaving us. However, the blessings don’t have to end even though the month is ending. Allah (SWT) has given us one more opportunity to be generous before we start celebrating on the day of Eid – Zakatul Fitra. Before we begin enjoying our day of feasting and fun, we take a moment to remember our blessings and take advantage of the opportunity that Allah (SWT) has given us to be generous and share blessings with the people who are less fortunate. Zakatul Fitra is usually given on the morning of Eid by the head of the family, so kids usually don’t see it being given. 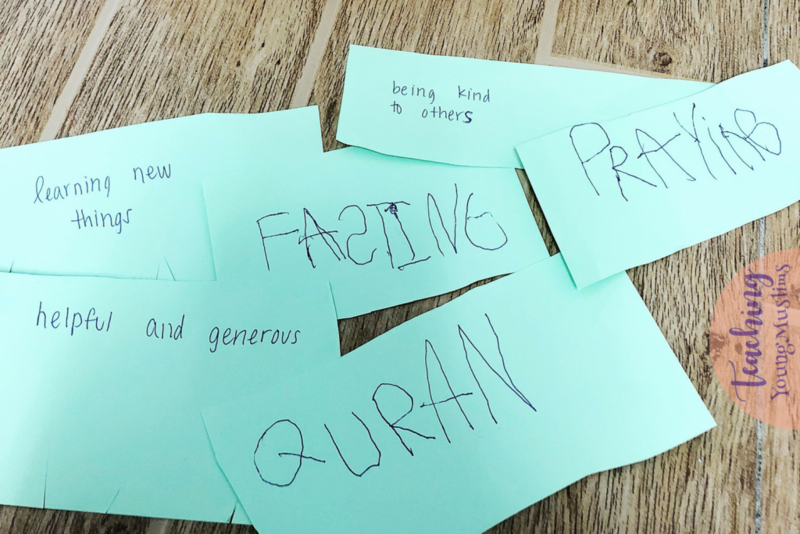 I feel that it is important to mention it and discuss it, so that little ones are aware of this happening, and they know that generosity is not confined to the month of Ramadhan – it continues into the days of celebration, as well as the rest of our lives. 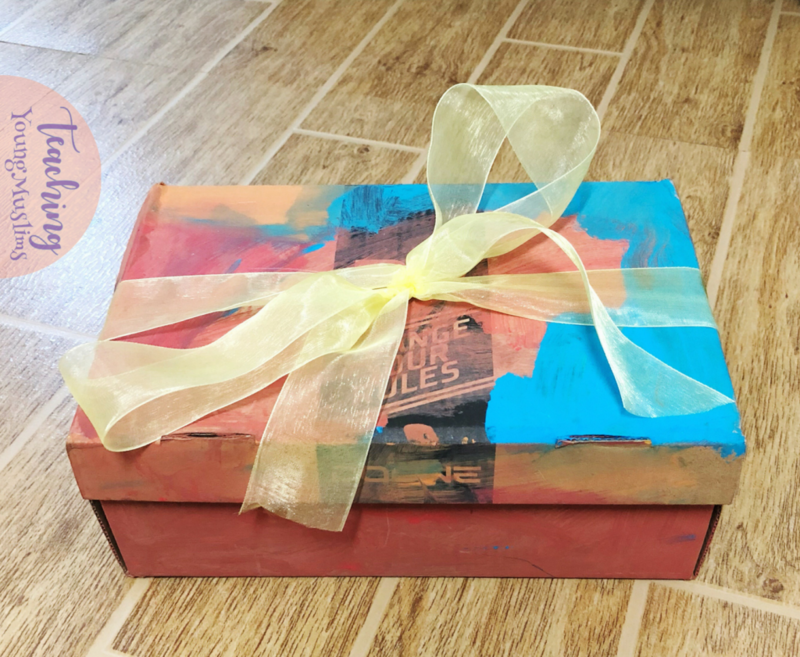 To visualize this generosity, we used an old shoebox, and in it, we put words/pictures to represent all the good that we did during the Holy Month of Ramadhan – fasting, duas, generosity, kindness, sharing, gifting, etc. Whatever level of understanding your child is at about the month of Ramadhan, he will contribute at that level. After the box of Ramadhan deeds is closed, we can tie it up with a ribbon. This ribbon represents Zakat-ul-Fitra, which is done after the month of Ramadhan ends. This allows us to visualize that the month of Ramadhan has ended, the box is now closed. And we have inshaAllah received the rewards for all the amazing deeds we did during this month – we no longer have the opportunity to add more to our Ramadhan deeds. However, the beautiful deeds can continue outside of Ramadhan too – we can carry those lessons forward to the rest of our lives. Specifically, in this case, we can and should continue to be generous. This activity is also a good way to review everything your child learned/experienced during this Holy Month. It’s a good time to celebrate everything that they have accomplished, and make this filling of the Ramadhan box of deeds a time of celebration and excitement. I hope you have all have had a blessed month of Ramadhan! And I hope you have a wonderful Eid, full of delicious food and special moments with your family and friends.